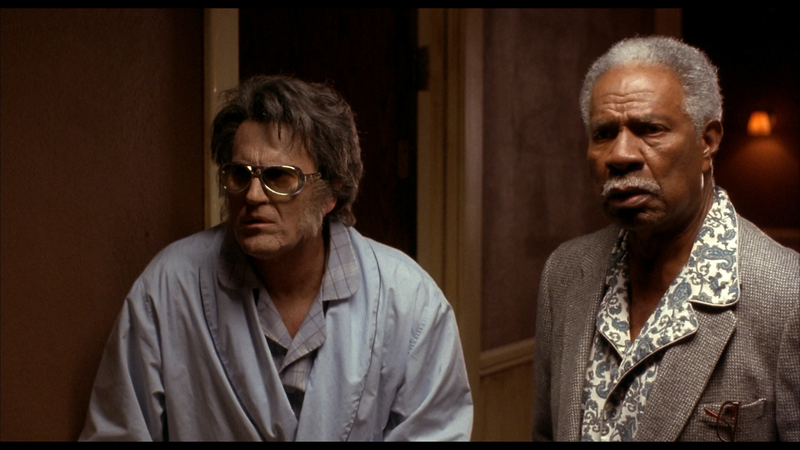 Bubba Ho-Tep is an oft fun little flick that has garnered cult classic status over the years and features a great performance by Bruce Campbell as well as Ossie Davis. I wasn’t as over the moon with it but on the whole, it’s a unique film with replay value. Plot Synopsis: When mysterious deaths plague a Texas retirement home, it’s up to its most sequined senior citizen, “Elvis” (BRUCE CAMPBELL), to take on a 3,000-year-old Egyptian mummy (BOB IVY) with a penchant for cowboy boots, bathroom graffiti and sucking the souls from the barely living! 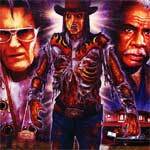 Quick Hit Review: Bubba Ho-Tep, a horror-fantasy flick released back now 13 years ago features perhaps Bruce Campbell’s second best performance behind The Evil Dead franchise portraying Elvis (or is it Sebastian Haff as an Elvis impersonator?) as well as a fine turn for the underrated and late Ossie Davis (passed away only two years later). This is a fun, thrilling and surprisingly poignant little film which did very little damage taking in a mere $1.2M, albeit in limited release, has been a cult hit over the past decade. This was my first viewing and while I wasn’t as wild about it compared to some, it’s undeniably an entertaining flick with great replacement value. This “Collector’s Edition” release comes with a matted slip cover. The inside cover is reversible revealing the film’s original poster artwork. The King Lives! (22:01; 1080p) — Actor Bruce Campbell reflects on his work, what drew him to the story. Looks like this was recorded at the same time as his interview for Waxwork II. All is Well (24:02; 1080p) — Director Don Coscarelli shares his thoughts on the film over a decade later. Mummies and Make-Up (8:56; 1080p) — Special Makeup Effects Supervisor Robert Kurtzman looks back on Bubba Ho-Tep and how he came aboard the project. Deleted Scenes (3:16; 1080p) — There are two scenes chopped but nothing especially noteworthy. Optional commentary with Coscarelli and Campbell included. Footage From the Temple Room Floor (2:09; 1080p) is some B-roll footage shown briefly in the film. 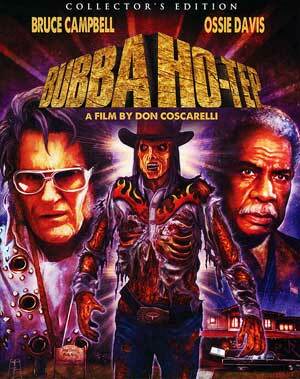 The Making of Bubba Ho-Tep (23:34; 1080i) is an older, but well made, making-of featurette and includes archive interviews with members of the cast and crew talking about the plot and characters. 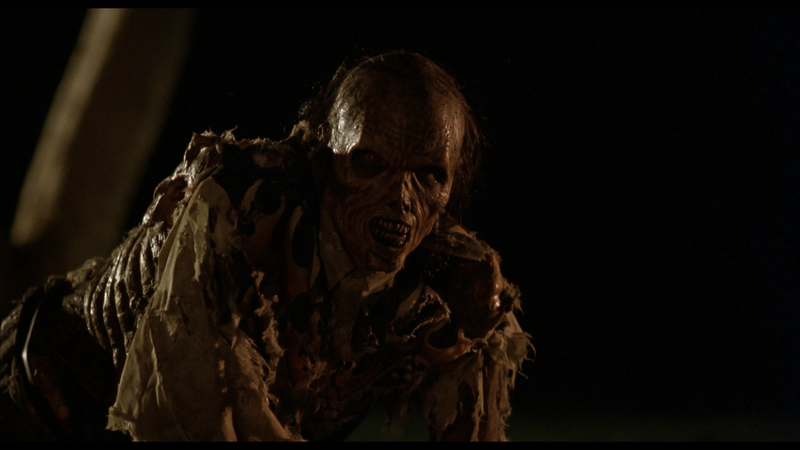 To Make a Mummy (5:02; 1080i) delves into the special makeup effects behind Bubba Ho-Tep. Fit for a King (6:46; 1080i) looks at the costume designs for Elvis. Rock Like an Egyptian (12:42; 1080i) goes into the music/score in the movie. Joe R. Lansdale Reads from Bubba Ho-Tep (7:58; 1080p) finds the writer reading from his own original short story for which the movie is based upon. Rounding things out are Archival Bruce Campbell Interviews (34:41; 1080i), a Music Video (2:19; 1080p), a Photo Gallery (4:17; 1080p) and the Theatrical Trailer (2:16; 1080p) and TV Spot (0:32; 1080p). 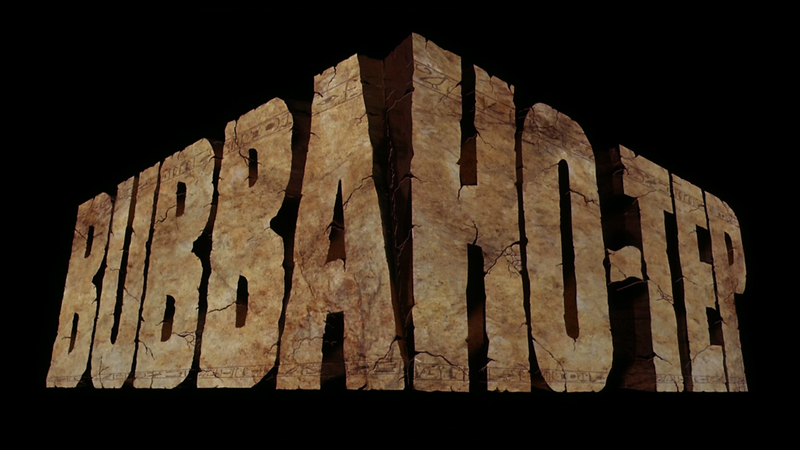 Shout unleashes Bubba Ho-Tep onto Blu-ray via their Scream Factory line presented in its original 1.85 widescreen aspect ratio and given a 1080p high-definition transfer. It’s not the most brilliant looking video even though it is only 13 years old, but still detail looks decent enough and colors do appear somewhat vibrant. There is a heavy amount of grain throughout but nothing overly distracting while the transfer itself is relatively clean free of major instances of dust marks, scratches and other flaws. The disc has been given both 5.1 and 2.0 DTS-HD Master Audio (which is standard protocol for Shout) with the former being default and the one I listened with for the majority of the film. The track is pretty strong though the majority of the film is dialogue-driven, which is clean, with a bit of depth during the finale which features a mummy vs. Elvis fight, because, why not? 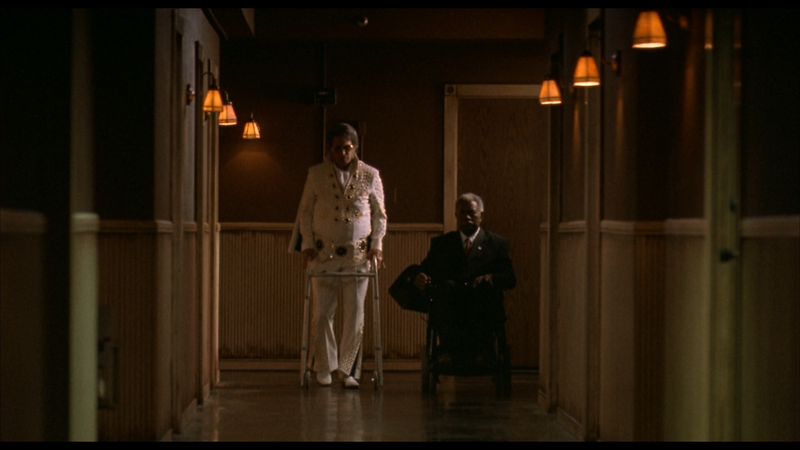 Overall, Bubba Ho-Tep is an oft fun little flick that has garnered cult classic status over the years and features a great performance by Bruce Campbell as well as Ossie Davis. I wasn’t as over the moon with it but on the whole, it’s a unique film with replay value. This “Collector’s Edition” Blu-ray released by Shout offers up solid video/audio transfers and a nice selection of both old and new features.